On June 24th, Justin Stuit received the following news. Cancer is something that happens to people at a distance. It is not supposed to be something that happens to someone close to you. We met Justin and Denise about 8 months earlier when they joined the small group that we lead. We quickly learned that they were from Iowa. They didn’t have any family in Kansas City and were longing to be connected in a faith community. When they joined our group, we had hoped that our group would embrace them and that they would feel welcomed. Little did we know that our group would play such an important role in Justin and Denise’s story. If we had to look back at a defining moment in our group it would have been New Year’s Eve in 2015. The Stuits' hosted the party and we played games, laughed together, loved on each other’s kids, and began to live life together as family. Fast forward 6 months and we receive a call that Justin was having abdominal pain and they were going to be flying on a private flight from Iowa to Kansas City and they needed a ride from the airport to the emergency room. As Bryan headed to pick up Justin and Denise, we just knew that everything was going to be okay and that it was probably just something minor. It was cancer…at the age of 30…with a wife who needs her husband and a one year old little boy who needs his daddy. There have been two experiences in our adult life that cancer has affected us directly. In 2006, the cancer took Bryan’s grandmother. In 2010, the cancer took our friend Kelley, at the young age of 32. Far too often, the outcome with cancer is like our experience. Justin, you will beat this. Justin, you will have an awesome story to tell when you are healed. Justin, everything is going to be okay. Those are all great things to say but what if we were wrong? What if Justin’s story ended like grandma’s story or Kelley’s story? We began praying because it was the only thing that we believed would make a difference. Bryan received this text from Justin on July 21. Day 21 of chemo (round 1). 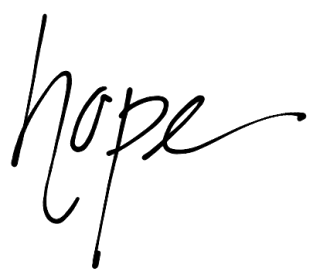 Focus today on putting ALL of my hope in Jesus. Don’t trust in the chemo or that I can control things. This is happening for a reason greater than I can comprehend. HOPE. So, today I am focusing on quieting the distractions, listening intently, and putting into action the renewed HOPE I have through Jesus. What a peace and relief it is to know that when my faith is secured in the One who already paid the price, I can have hope that my current struggles are only temporary and that better things are in store for me. WOW. Who says something like this after 21 days into chemotherapy? Someone who has their identity secured as a follower of Jesus does and an unwavering grasp of what hope truly is. Over the past 6 months, Justin has been in and out of the hospital numerous times. The joke has been that every time Bryan would leave for a business trip, Justin would head back to the hospital. In November, Justin was back in the hospital. However, this time it wasn’t just to the 5th floor and the cancer unit. This time, he was admitted into the Intensive Care Unit. Being in the hospital is bad enough…being in the ICU is even worse. We began asking people to pray. We didn’t know what the outcome was going to be. We were not sure if Justin’s body was going to be able to fight off what was happening. So we made a couple of phone calls and people began showing up at the hospital to pray for Justin and Denise. We posted on social media and people from all over the country began praying for Justin and Denise. A few short days later, Justin was home from the hospital and we all celebrated answered prayers. We celebrated what was a miracle. But guess what, Bryan left for a business trip a couple of weeks ago and Justin headed BACK to the hospital. Bryan told Justin that he was never leaving again and sends this text to Justin. He’s (Jesus) making you stronger and stronger. He’s drawing you closer and closer. Three days later, Justin is discharged from the hospital with results from his PET scan. NO MORE CANCER. You read that correctly. NO MORE CANCER. This is Justin’s story. Many of you reading this have been affected by cancer in some way but the results have not been the same. The cancer is still there. Whatever outcome you might have experienced, the cancer will not win. The cancer did not win. The same hope that Justin grabbed ahold of on day 21 of chemo. This hope is promised to us in Revelation 21:4. As we celebrate Christmas tomorrow, we must wrestle with who Jesus is. Jesus isn’t just a little baby that was born in a manger so we can have fun nativity scenes and cute Christmas programs with kids dressed as angels, wise men, and shepherds. Jesus was born into this world to live a sinless life and take our sins upon His shoulders. He was born to die on a cross for each one of us. He was born to be placed in a tomb only to be raised to life three days later so we can experience new life. He was born into this world so we can experience no more death and no more pain. He was born into this world to beat cancer. We are not promised that the cancer will not come back in Justin’s story. What we are promised is that we can celebrate Christmas knowing that Jesus always wins. Some might call it luck. We call it God’s plan. He is not done writing Justin’s story…and for that, we are thankful. Thank you to everyone who has prayed for Justin over the past few months. Our prayer is that Justin's story encourages you and your story. Justin and Denise, we love you and are honored to be a part of the story. You inspire us. Merry Christmas. Newer PostI loved her. But it was not enough. Older PostWhen a Love Story begins.